We think that the best way to support Ginkgo's efforts is to come work with us in the garden. We are convinced that if people come out to our little spot of land on a Saturday morning or Wednesday evening and spend a few hours pulling weeds or staking tomato plants, they'll find themselves connecting to their community in ways that they didn't anticipate. We cherish our volunteers, but we also understand that not everyone can support us on site. We also appreciate financial support: although our regular operating expenses are low, parts of the garden are getting a bit long in the tooth, and parts of our infrastructure could use anything from sprucing up to outright replacement. Every little bit helps. People who are interested in providing financial support can donate to NeighborSpace, Ginkgo's fiscal agent, on behalf of the garden. 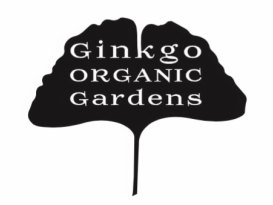 When you donate via Public Good, indicate that your donation is for Ginkgo Organic Gardens.